The State of the Town was at 7PM. After the presenting of colors and national anthem, Jane Howard of Vision 2020 committee introduced the Chair of the Board of Selectmen, Kevin Greeley. Mr. Greeley was kind enough to provide his speaking notes. I continue with the notes I took at the time: He reflected on his history within the town. He talked about the need to perpetuate the values of Arlington. He talked about the value of service, particularly the women who have served the town. The high point, I think, was a standing ovation for Marie Krepelka, the selectmen's administrator. He talked about the value of debate, particularly Town Meeting. He spoke of a few specific policy issues, including the commitment to rebuild Thompson and Stratton schools, concluding the Symmes deal, sticking to the Lyons 5-year plan, maintaining education as the top priority, preserving Town Meeting, improving working conditions for town employees, and honoring service to the town. The speech concluded and adjourned to punch and snacks. Shortly after 8PM, the real Town Meeting began. Rev. Carlton Smith of the First Parish Unitarian Universalist Church gave the invocation. Moderator John Worden called the 200th Town Meeting of Arlington to order. He gave a few remarks about the history of Town Meeting, and how it used to elect many officials, but now only two: The Measurer of Wood and Bark and the Assistant Moderator. The meeting voted to permit non-members who are on committees, are employees, consultants, etc. to sit on the main floor (everyone else is required to sit up in the balconies). The warrant was certified as delivered by the Town Clerk. If my memory and notes serve me correctly, the Clerk used to read the warrant opening. This year, no such reading. The next meeting was scheduled for the 26th.Selectman Greeley read the motion for the next meeting in his speed-speak. It was too fast for newcomers to understand what was going on. For those of you who don't know: we voted to meet again on Wednesday in the event (very expected event) that we didn't finish the warrant. The Moderator reminded people to make handouts available to the front table. Mr. Greeley announced that student government day will be Thursday, with Town Meeting convening at 10:30AM. Martin Thrope spoke about today being Holocaust Memorial Day, and included a moment of silence. Rich Carreiro reminded members of the Town Meeting email list. See him to sign up for it, or send him an email. Board of Selectmen's report was submitted by Mr. Greeley. Mr. Loreti submitted the Redevelopment Board's report. Frank Ciano reported on the Noise Abatement Study Committee. Deputy Town Manager Nancy Galkowski presented the Other Post Employee Benefit (OPEB) Committee report. She gave a few remarks. This is the committee that is to make recommendations on how to fund the town's medical benefit liabilities. Possible revenue sources include the Medicare Part D subsidy, enterprise fund liability, and any one-time fees. Barbara Cutler of the Commission on Disability spoke. She talked about successes and failures. Her speech included rhetoric that was pretty highly charged, including calling some funding decisions "insults to the commission." The report of the Historic District Commission was received. Chris Loreti gave the report of the Zoning Bylaw Review Committee. He referred to recent Globe article on lot size, and the questions asked on the Vision 2020 survey. Alan Tosti explained that the FinComm report was waiting on the budget to be modified/approved by the legislature. Hopefully it will be on the FinCom website on Sunday and printed on Monday. FinCom is meeting Saturday, but I will unfortunately miss it. I'll be drinking tasty beverages, eating fine foods, and listening to fantastic music at New Orleans JazzFest. Alan Tosti moved to incorporate any motions within the reports as the main motion under any pending articles. This gets some procedural stuff done in one fell swoop, rather than once per article. Mr. Greeley introduced the people at the tables in the front of the room, including the recently hired assistant planning director, Dave Berry. Alan Jones was elected this year to be a vice-chair of FinCom. He now sits in the front of the hall, which he hadn't before. Kevin Greeley introduced him as "Alan Carr," thereby giving him his wife's maiden name. Cracked me up. Article 3 - John FitzMaurice was appointed Measurer of Wood and Bark after a brief discussion of his duties. Article 4 - Election of Assistant Moderator. The moderator opened the floor to nominations. John Leone was nominated. Mr. Daley then moved to close nominations. I thought this was a bit rude. John Leone is a fine choice, but if someone wants to run against him, they should be permitted to do so. Mr. Daley should have let nominations run their course. Nominations were closed, and John Leone was elected. Article 5 - Zoning: Cluster Development. The motion of no action had two speakers. Chris Loreti of the Redevelopment Board (ARB) explained that it needed more study. This was 1.5 speakers too many, if you ask me. No action means no action. Passed unanimously, with Lyman Judd giving notice of reconsideration. Article 6 - Zoning: Open Space and Parking. Chris Loreti of the ARB explained that this was a correction of a past error. Much of our open space is things like ball fields, and they require parking. Parking should be a permitted use. To have parking, there needs to be a special permit and an environmental review. Several people spoke against this as written with too few restrictions, or that we simply should never permit parking. Several people spoke in favor, saying that the special permit process was protection enough. Elsie Fiori was in favor of this! I can't recall any other time when she's spoken even vaguely in favor of something that is related to development. I thought with her support that an article like this couldn't fail. On voice vote, it sounded like the "nays" won. The moderator prompted people to request a standing vote, and the count was closer than it sounded by voice. The vote required 2/3 in favor, and it failed 114-77. Lyman Judd gave notice of reconsideration. Article 7 - Stormwater Control. Postponed to 5/1 at the request of Mr. Greeley. Article 8 - Curb Snow Removal. The motion of no action had two speakers. It was supported by Mr. Greeley and Barbara Cutler of the Commission on Disability. Passed. Article 9 - Snow Removal from Bike Trail. Mr. Greeley explained that it had been promised to abutters that this would not happen, and there needed to be a hearing. Three speakers spoke. I thought this went on too long. If there is no action, there is no action. Speakers without a motion need to be very brief, or should get shut off. On the substance of the issue, I agree with no action. The town shouldn't spend money to plow. People should note the problem explained by the DPW head Mr. Sanchez: there is no drainage, and even if plowed, the trail will ice up like crazy. Vote of no action passed. Article 10 - Uniform Construction Access Resolution. Barbara Cutler of the Commission on Disability spoke in favor. There was no discussion. Passed unanimously. I think I heard a voice of dissent, but it lacked vigor, and was not noted by the moderator. Article 11 - Smoother Sidewalks. The recommendation of the Selectmen was no action. Barbara Cutler of the Commission on Disability spoke ambiguously, but noted that the DPW had listened to the request. Voted no action. Article 12 - Health Care Reserve Fund. The recommendation of the Selectmen was no action as the requirement was largely satisfied by the new budget document presented by the Town Manager. Voted no action. Article 13 - Recycling. The recommendation of the Selectmen was no action. Town Manager Sullivan explained that this was being addressed in the revolving fund article. The goal would be met through other means. Voted no action. Article 14 - Meeting Notice and Agendas. The recommendation of the Selectmen was no action. Town Counsel Maher applauded the good intentions of the article, but said that the agenda requirement would lead to lawsuits when agendas and practice didn't match. Chris Loreti requested additional time and didn't get it - people objected. That surprised me. Traditionally extra time is granted. It felt a bit rude. I would have preferred to extend the time. Greeley is right - our town is better because of debate. If he abused the request, we can deny future requests. He then offered a substitute motion that would require all meetings to have notice and agendas posted on the town website. He said that the legal issues were a red herring, and quoted District Attorney Coakley. He complained about a meeting that he had been told was cancelled, but actually met "privately" on another issue. He said some fairly inflammatory things about the town counsel's judgment, and that clearly had Mr. Maher fuming. He suggested that opponents of this motion tented to be "older volunteers who have been around." The meeting took a 17 minute recess. Several people spoke against the motion on the basis that the agenda requirement was too onerous for volunteers and it would inhibit progress. One person spoke in favor as it would make information more accessible. I spoke against this. It was probably my worst speech ever at Town Meeting. Partway through, the moderator said something that the mic picked up. I thought he was talking to me, and I turned around to see what he was saying. When I realized he wasn't talking to me, I faced the meeting again. My mind was a total blank - the interruption emptied all thought. I'm very sensitive to wasting the time of the meeting, and I felt awful that I was just standing there, nothing to say, and wasting everyone's time. It seemed to last forever. I got to my seat and remembered my point: In addition to being an inhibition to volunteerism, the agenda requirement is a legislation of a management style. Town Meeting shouldn't require a specific management style from volunteers. The motion was defeated, and no action was approved. Article 15 - Assessors. Postponed to May 8. Article 16 - Personnel Bylaw. Nancy Galkowski explained that this change was to get non-union personnel in line with union personnel. This left several people confused about exactly who this applied to - union, non-union, schools, etc. Mrs. Galkowski was unable to say exactly how many employees were affected by this. A motion to postpone failed, and the motion carried. Article 17 - Animal Control. Postponed to 4/26. Article 18 - Building Permit Fees to Symmes. The recommendation of the Selectmen was no action. 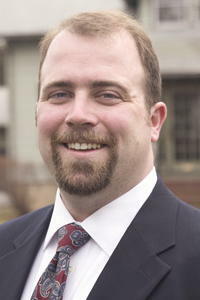 Chris Loreti offered a substitute motion to request home-rule legislation to place building permit fees into the Symmes account. He argued that the town shouldn't use one-shot fees in the general budget. He suggested that in 2003 this had been the original plan. He wanted to pay the debt faster and save the town interest. In response to a question, Town Manager Sullivan explained that the current payments would be made through developer revenues and would not affect the tax rate. After a few speakers, the substitute motion failed. Voted no action. Article 19 - Health Emergency Mutual Aid. It was explained that this opens a structure to request and give help. During the hepatitis problem some towns hadn't been able to help because of liability fears. In response to a question, it was reported that 8 towns had approved this, with goals of 27 in the region and eventually the entire state. Approved unanimously. Article 20 - 55 Venner Road Easement. Postponed to 5/8. Article 21 - Retirement Allowance for Part Time Officials. Selectman Greeley noted the proponents didn't attend the hearing, and moved for no action. Freeland Abbot said he had had a conflict, and asked for a postponement to 4/26. Mr. Greeley replied that he could have asked to be rescheduled, said that 5/1 was better for him, and still said no action. The postponement to 5/1 was approved 109-27. In 2002, Town Meeting voted that Town Meeting members must "disclose financial interest" when debating issues. It is my understanding that there are a number of town officials, including Mr. Greeley, who should make this disclosure when we debate next Monday. Article 22 - Healthcare for Part Time Officials. Postponed to 5/1, as the previous article. Article 23 - David Pannesi. A man wants to be a firefighter, but is over 32. I'll be voting yes, as always. Age discrimination should be a thing of the past. Before debate got really under way, Paul Schlictman noted that most proponents hadn't expected this much progress and were not prepared. The meeting was adjourned at 10:50. The meeting members sang the anthem, lead by Town Meeting Member Jane Howard on the piano. Richard Phelps, Town Meeting Member, gave the invocation. Moderator John Worden called the meeting to order. He gave a history lesson, about after the Tea Party that part of the sanctions were that Town Meetings could only discuss "routine matters." A newly elected member was sworn in. The next meeting was scheduled for the May 1. Annie LaCourt noted the recent challenges of two Town Meeting members. She remarked on the courage of Marie Krepelka (Selectmen's administrator) in her fight against cancer. She offered condolences and asked for a moment of silence in memory of Finance Chair Allan Tosti's daughter, Nora Tosti, who recently passed away. David Levy announced the Walk for Affordable Housing. It starts at 1PM on Sunday April 30th at the Jason Russell House. The moderator noted that Precincts 1-7 were to have organized earlier. Article 2 - Reports of Committees. Town Meeting accepted one report from the Town Treasurer. He gave some history of the office and listed several initiatives in progress. The treasurer read his report verbatim, which bugs me - if I get it in writing, I don't need to hear it read to me. That said, there has been good work done on the initiatives, and I wish him good luck on pushing them forward. Article was tabled. Article 23 - David Pannesi, continued. He wasn't there to argue his case, and the motion failed, 57-110. It's pretty obvious that the reason he failed is that he didn't show up. I voted yes. In my opinion, Town Meeting shouldn't (and doesn't) evaluate individuals for jobs, particularly jobs that aren't managers. Town Meeting's role here is to get around the stupid state-imposed age requirement. I think we should routinely approve all of these, present or not, and let the hiring managers determine the best person based on their personal qualifications. Annie LaCourt gave notice of reconsideration. Article 17 - Animal Control, continued. This is to create a hearing process for dog parks, and is neither in favor nor opposed to them. It was supported by Parks and Recreation Committee. A motion to terminate debate was made, with no one left on the list. Some people voted against the termination of debate, which I just don't understand. I understand the philosophy that everyone should get to speak, and debate shouldn't be terminated when people want to speak. But in this case, there is NO ONE who wants to speak. Why on earth would you oppose terminating debate in that situation?. The article was approved. Article 24 - Water Bodies Fund. FinComm Chair Tosti asked for a postponement to May 1, when the FinComm Report is completed. Postponed. Article 25 - Tax Info in Tax Bills. Treasurer Stephen Gilligan explained that he and the Assessors had agreed to do this without a bylaw change. Exemptions and deferral info will be included in a tax bill. No action approved. Article 26 - Ex-Officio Town Meeting Members. Selectman Annie LaCourt said the Selectmen had voted no action. Paul Schlictman offered a substitute amendment to make certain town and state officials ex-officio members of Town Meeting. He explained that only 5 current non-members would become members, and there would be 12 new seats for new volunteers. Several speakers were against it, complaining that it concentrated power in certain positions or disrupted the current system. I spoke and voted against this. I like the egalitarian nature of Town Meeting. Each of us gets there the same way, and we are all equal. This would disrupt that. I appreciate Mr. Schlictman's interest in creating additional volunteer opportunities, but I think a better method would be to do something like making 15 members per precinct.. The substitute motion was defeated by a large margin, and no action approved. Mr. Judd gave notice of reconsideration. Article 27 - Home-rule legislation to extend BANs. Town Manager Sullivan explained that the 5-year limit for Symmes bond anticipation notes runs out next April. If Symmes progress were delayed, the town would need to bond the money, and that would affect the tax rate. He no longer thinks that this will be necessary, but asked for it to be approved just in case. Gordon Jamieson moved to postpone debate until after the Symmes update is delivered on May 8. I didn't understand why he wanted to do this. This vote and the Symmes update are pretty unrelated. It felt like an unnecessary and inefficient parliamentary move. Mr. McCabe asked for a clarification/amendment about the final clause which didn't make grammatical sense. Mr. Tosti suggested a change. Chris Loreti asked a series of questions, and ultimately suggested that the selectmen could use this to use Symmes revenues to prevent an override at the expense of the Symmes debt paydown. This is a pretty complex question with multiple variables. I think Mr. Loreti's suggestion is pretty far afield. So long as the Symmes money doesn't make it on to the tax rate, it will be very difficult for him to convince anyone that the selectmen are diverting funds. There were questions about who approves the BANs and how the money is to be used. There was some testy back-and-forth between Mr. Gilligan and Mr. Tosti on these answers. The motion to postpone failed, and the motion was approved 183-5. Mr. Tosti and Mr. Judd gave notice of reconsideration. Article 28 - Tax Deferrals. Selectman Annie LaCourt said the Selectmen were planning on reconsidering this on May 1 and asked for a postponement to May 3. Postponement was approved. I will be at the selectmen's meeting on May 1. I believe they have come around to the idea that lowering the interest rate will dramatically increase the cost to the town, and it will essentially benefit heirs, not taxpayers. I've provided the board with some demographic data that supports my arguments.. Article 29 - Tax Deferrals. Recommended no action because it is covered in Article 28. Approved. Chris Loreti and Lyman Judd gave notice of reconsideration. Article 30 - Additional Burial Site Study. Brian Sullivan explained that the town is running out of places to bury its residents. This group will study where to put them before we run out. The Town Manager said, and I quote, that "this situation must be avoided at all costs." Statements like that just crack me up. Close the schools, fire the public safety employees, and use the money to buy houses, tear them down, so that we can. . . bury our dead. I hope that the study committee does an analysis of how long it will be until we have to use developed land to bury people - it should be a simple enough equation. Then again, our lakes are large and unused. What about burial at sea (pond)? I'm only half kidding. Motion passed. Article 31 - State Aid Task Force. Annie LaCourt gave the selectmen's endorsement. Freeland Abbot had questions about the wording of the committee composition and after discussion offered an amendment. Confusion continued, and the meeting recessed. After returning from recess, the issue was still unresolved. A motion to postpone to next week was offered, and was defeated. A motion to postpone to 10PM carried. This series really illustrated the meeting pace. This is a set of people that want to move and they won't take no for an answer. Other votes earlier in the meeting were equally emphatic: delay is not an option this year (at least so far). . Article 32 - Fire Station Study. Town Manager Sullivan explained that there was concern that the fire stations weren't placed ideally, and a study should resolve that. Regular readers of my notes will know that the fire station placement has been a long-running question of mine. I called for this study at the 2002, the 2003, the 2004 and the 2005 Town Meeting. It is unfortunate that after spending millions of dollars last year, suddenly the $20,000 study looks like a good idea this year. The Manager even used the same arguments. He said there were "existing studies about response times," that it wasn't clear the "town has ideal sitings" for the fire houses, they may not be in "ideal locations" and that "response times weren't always adequate." If he had said that last year, it would have saved the town a lot of money. However, I know that I lost last year, and Park Circle will be rebuilt. I did a decent job of being forward-looking and not dwelling on past choices when this article was discussed at FinComm. Marvin Lewiton commented that his study last year indicated slow response to the Morningside area, and this study might help address it. Mr. Daley asked the status of the Park Circle station. The Manager answered that it was out to bid, that bids would return in May, and that building might start in July. Mr. Daley said that he took the Manager at his word, and if he didn't, he would offer an amendment to remove any language that might be construed as related to Park Circle. Mr. Sullivan assured him that Park was a done deal. Despite my plan to remain calm, this exchange really got my blood boiling. First of all, the Manager was not at all forthcoming in his answer. Park Circle is not even close to being on plan. After going out to bid twice and failing to get acceptable bids, they redesigned the station to have only one bay, (not the two that were discussed at Town Meeting). It reflects very poorly on the Manager that he would give such an incomplete answer and suggest that Park rebuilding was proceeding on plan. Secondly, why is Mr. Daley so afraid of information about the fire service? Why is he intent on sticking his head in the sand, rather than possibly learn of a better location to place the fire stations? This willful ignorance, this policy of decision making while deliberately avoiding possibly unpleasant facts is awful. Give me the facts, every time, good or bad. Let's make a decision based on those facts. There were further discussions about the historic aspects of the Highland station and the value or lack thereof of studies in general. Debate was terminated and the motion carried. I voted yes. I would have preferred to do the study earlier, but it still has value for the remaining fire station decisions. Article 33 - Services to non-profits. Annie LaCourt explained that this would be done without a bylaw. Mr. Jamieson asked when it would be done, and the Manager answered early fall. Mr. Jamieson's question was well done. It was an elegant way to get a public commitment. No action was approved. Article 34 - Historic District Expansion. Stephen Makowka explained that it was contiguous with the existing district, and filled a hole. He explained a bit of the process. All owners had assented, except for one who was silent; he is from out-of-town, and already owns another property in the district. After a question about what makes it a historic district and an expression of support from the precinct, the motion approved unanimously. Article 31 - State Aid Task Force, continued. Annie LaCourt gave an amendment that clarified the membership. Paul Schlictman spoke against, speaking from advocacy experience. He suggested we hold officials accountable instead. Several speakers were in favor, commenting on the need for state money, the fear of future state cuts, and the time constraints of volunteers. Article was approved. I voted against this. Mr. Schlictman made a compelling argument. Also, I really want to reduce the role of government in general. The fact that one government body creates another government body to lobby another government body is a pretty clear sign that things aren't working the way they are supposed to. Article 35 - Revolving Funds. Annie LaCourt explained the purpose of revolving funds and the creation of two new ones. She offered an amendment to create a third that had been inadvertently been left off. Diane Mahon thanked Paul Olsen for his work with the field fee research. She explained that teams supported this fee, but felt like it should be the last new fee. Freeland Abbott asked a question about the Uncle Sam fund, then tried to close the fund. Roly Chaput explained that the funds might be needed in the future for Uncle Sam statue repair. I appreciate what Mr. Abbott is trying to do here, but I think he should do his homework. He shouldn't try to kill off a fund without any warning or question to the people who use/administer it. I made an amendment to strike paragraph B that creates a new fund. The new fund takes money from white goods disposal fees and funds an employee for recycling enforcement. At the finance committee, the Town Manager didn't have any planned metrics about how this program would work. After asking questions tonight, I'm still not satisfied that there is sufficient understanding. I think the program is a great idea, in general. But before we start a new program, we should decide the metrics we use to measure the program, the standards for success, and what we expect. The Manager says he expects $50,000 in benefit, but hasn't produced a single piece of paper to back that up, despite requests. Furthermore, revolving funds are supposed to link the expenditures and revenue. In this case, we're using one revenue stream to do a totally separate set of expenditures. There is no link. And, the revenue far exceeds the expenditure. What we're doing is creating a slush fund that is designed to grow, where the revenue is independent of how well the program does, and where there is no defined metric for success or failure. By doing it in the revolving fund, they escape the review of FinComm. We should vote no and this the right way instead. A couple of speakers endorsed my amendment, and several spoke against. They defended the link between white goods and recycling and the potential revenue gains. A vote to adjourn failed. See my previous note about pace - people are intent on completion! My amendment failed 35-105. Annie LaCourt's amendment and the main motion were approved. Mr. O'Connor, Mr. Tosti, and Mrs. LaCourt served notice of reconsideration. Mr. McCabe gave notice of reconsideration of Article 27. Note how we went from 188 votes to 140. Attendance noticeably thinned as the night went along. The AHS Madrigal singers sang the national anthem. Pastor Dave Swaim of the Highrock Church gave the invocation. Highrock is a new church to Arlington, and this was his first invocation. He started by saying that he had been cautioned to be non-secular, but he had one belief that couldn't be argued with - and he put on a Red Sox hat. Funny guy, if a bit long-winded. I still think invocations don't belong in town business, but as far as non-offensive goes, this one was fine. The Madrigal Singers performed three songs, including a Billy Joel song, a spiritual, and a Beatles tune. The moderator noted that we might finish by next Monday. The next meeting was scheduled for May 3. There was an announcement from Jane Howard about the displays about Arlington's water bodies in the front hall. Article 2 - Reports of Committees. Allan Tosti gave the Finance Committee report. He made some remarks about the committee and its membership. Mrs. Worden gave the report of the Affordable Housing Task Force. Mr. Foskett gave the report of the Capital Planning Committee. James McGough gave the report of the Cyrus Dallin Art Museum trustees. He reported on the growth of the museum and its collection over the last 11 years, and the upcoming dedication of the "Sherman" sculpture. Article 7 - Stormwater Control, untabled. A new text of the proposed bylaw was presented by Kevin O'Brien. The bylaw will make any new development larger than a certain size (approximately a medium-size house or larger) would have to reduce the stormwater flow from the property or apply for a waiver. There was some discussion of postponement, but debate proceeded. Several questions were asked. This bylaw will not affect the Symmes development because they are being held to a higher standard. How the various sizes were chosen was questioned. It was confirmed that it was a required reduction for each new permit. The matter was postponed to give members time to review. I will likely vote no on this. If it were crafted better, I could probably support it. In its current form it will have a very uneven burden on Arlington residents. It will drive up the cost of housing, and it is yet another hurdle to development. Article 21 - Retirement Allowance for Part Time Officials, untabled. Selectman Greeley noted the proponents didn't attend the hearing, and moved for no action. He noted that he and other selectmen had a financial interest in this issue. Mr. Greeley explained that the selectmen consider themselves to be full-time employees in many ways. He said that they had signed up for the job with the understanding that these were the benefits. Mr. Abbott made a substitute motion to end the retirement benefit for part-time elected officials. Moderator Worden, who is eligible for this benefit, recused himself and Assistant Moderator Leone took over. Mr. Abbott explained that because of the way pensions were calculated that if a town official took a low-salary job to become eligible, then took a high-salary job for 3 years, their pension was for the high salary and the town was liable. Rich Carreiro made a substitute motion to create a 1-year study committee. Mr. Greeley rose (as a town meeting member, not as selectmen) and said that the pension cost was "routinely" re-allocated in such situations and the town wouldn't have to pay more than it should. Mr. Greeley and Mr. Abbott argued for a while. This sounded very personal. Lots of emotion was obvious. It wasn't conducive to reasoned debate. Mr. Maher said that he thought that dong this retroactively would not be legal. There were comments about the lack of compensation for other committees and comments on the motions' merits. Mr. Abbott's motion failed by a large margin. Mr. Carreiro's motion failed by a smaller amount. I voted against both. I think the real problem here is on the state level. The state rule that calculates pension on the three years of highest salary is ripe for the abuse that Mr. Abbott is worried about. On the topic of Mr. Abbott: he should have showed up at the original hearing. He should have gotten broader input on his motion. His article could have benefited from public feedback. As it was, he didn't get what he wanted, but he did create unnecessary animosity. Article 22 - Healthcare for Part Time Officials, untabled. Mr. Greeley made similar comments, but noted that this vote was 3-1-1. He invited Annie LaCourt, the dissenting vote, to speak. She explained that she wasn't comfortable extending a benefit to part-time town officials that is denied to regular part-time employees. She said that as leaders, they should be more fiscally aware. She said that as leaders, they should set a less controversial path for themselves. Mr. Abbott made a substitute motion to remove the medical benefit. Again, the debate had a very personal tone. As a group, we can deal with this issue more effectively if it is depersonalized. It shouldn't be one person trying to take a benefit from another person. It should be a debate about what is best for the town and its residents. Mrs. Mahon said that she wanted to abstain because she didn't want to dictate her own employment contract (this was later echoed by Clarissa Rowe). Both Diane Mahon and Clarissa Rowe stated that they did not take the health benefit. During questions and discussion it was noted that the cost of this benefit to the town could rise to $29,000 year, but was more commonly $15,000, compared to the Selectmen's salary of $3000. Mr. Fischer re-made Mr. Carreiro's study motion. Mr. Abbott's motion failed, and Mr. Fischer's motion passed 91-55. I do think there is a correction to be made here. It doesn't make sense to provide $3000 in salary, but 5 times that in benefits. The proposal needs to be done in a more artful way while minimizing controversy. I voted against this particular motion because of the details, particularly the lack of grandfathering in existing officials. Article 24 - Water Bodies Fund, untabled ($15,000). FinComm Chair Tosti referred to the comment in the FinCom report. I spoke against the article. It was approved, 122-14. My problem with this article is similar to my complaint about the recycling money. This article creates a new pot of money to be administered by a new set of people, but only for a specific purpose. Creating these funds makes it harder to set fiscal policy as a town and is ripe for abuse. Article 36 - CDBG Application. Postponed to 5/8. Article 37 - Permission to File for Grants. Passed unanimously. Article 38 - Collective Bargaining. Mr. Tosti explained that negotiations were ongoing. Tabled. Article 39 - Funding of Collective Bargaining. Mr. Tosti explained that negotiations were ongoing. Tabled. Article 40 - Position Reclassification ($5626). Mr. Tosti explained a handful of positions were being reclassified. Approved. Article 41 - Budgets. Mr. Tosti was prepared to start, but made a motion to postpone for the meeting to determine if they needed to study the budgets before voting. Postponed to 5/3. Article 42 - Capital Planning. Postponed to 5/8. Article 43 - Rescind Authority to Borrow. No action, unanimously. Article 44 - Minuteman. Postponed to 5/3 at 9:30PM. Article 45 - Appropriation for Town Celebrations ($10,667). Approved unanimously. Article 46 - Committees and Commissions ($13,160). Approved unanimously. Article 47 - Miscellaneous Appropriations ($41,433). Approved. Article 48 - Water/Sewer Bond ($411,400). This is a bond that will be used in addition to $338k grant on sewer improvements. Approved unanimously. Article 49 - Water/Sewer Bond ($1,000,000). This is another interest-free loan from the MWRA. It will be used on Highland and Spring streets. It was noted that really this is the MWRA giving us back money that it had already overcharged us, but accepting it is a better deal that rejecting it. Approved unanimously. Article 50 - Pension Adjustment. This vote permits the increase of pension for individuals who are earning less than 50% of their pre-retirement salary. Approved. Article 51 - Retirement Benefits ($291,000 approx.). Mr. Tosti explained that this would deliver a retirement benefit to certain individuals who are on disability rather than regular retirement. I spoke against this. It is a very confusing issue because of the history of partially related topics. The key question in my mind is how strong (or weak) you think is the relationship between the topics. Some years ago, the town sued the state retirement board to extend this benefit to regular (not disabled) retirees. The town won. The proponents of this article are saying that the benefit should apply to disabled retirees too, even though the court didn't agree and neither does the state retirement board. The proponents are extending the benefit to this group through legislation instead of further lawsuit. Here is where I think the argument falls down: disability retirement and regular retirement are very different. They qualify differently and they pay out differently. Logically, there is no reason that this benefit need apply to all groups evenly; the benefits are already quite different. The proponents were unable to convince me that just because this benefit applies to one group that it should also apply to a very different group in a very different benefit system. That reduces this to an arbitrary and expensive extension of our retirement system. We should not arbitrarily increase our already burdensome retirement funding problem. The motion carried. Article 52 - Permissive Legislation (Special Ed). Tabled. Article 53 - Special Education Account. No action approved. Article 54 - Local Option Taxes. No action approved. Mr. Tosti gave notice of reconsideration of all the finance articles. We sang the national anthem, led by Jane Howard on the piano. Rabbi Brown of Temple Isaiah gave the invocation. The moderator announced that he was doing things out of order, and was doing the budget first tonight. He commented that the budget was the power of the purse. He noted that recently the Stoneham Town Meeting, angry with recent selectmen actions, had voted to remove their salaries. The Moderator reminded precincts 4, 6, 8, 12, 13, 15, 19 and 20 that they had to vote chairs and clerks. Paul Schlictman welcomed the visitors from our sister city in Japan, Nagaokakya. He described their activities since arriving, including tours of the town, museums, and many other events. I got tired just listening to all the things these people were doing. I was a little disappointed when they left before any debate but. . . they must have really needed their sleep with that schedule. Article 2 - Reports of Committees. Mr. Greeley provided the supplemental report of the Board of Selectmen. Article 45 - Appropriation for Town Celebrations. Mr. Tosti moved to reconsider this article. He said that FinCom had forgotten a key phrase in the article, "said sum to be raised by general tax." The motion to reconsider was approved, and he made the amendment. Mr. Daley said that he was disappointed in the Patriot's Day parade, and he moved to increase the parade's budget by $5000. Mr. Tosti explained that the various committees and commissions were invited to be heard at the Finance Committee if they wanted a bigger budget and that the Patriot's Day committee had not requested more money nor had they appeared. He described the general process of a hearing. Two other FinCom members spoke about the work the committee does, the priorities they use when making choices, and the difficulty in meeting all needs. Diane Mahon spoke about funding Town Day. A couple of speakers were in favor of the amendment, citing history and community. Mr. Greeley spoke in favor of the amendment, saying that the parade should be "saved for at least one more year." I note with a bit of dark humor that Mr. Greeley has no problem supporting a funding change where the proponents didn't show up at hearing, but asked Town Meeting to vote down warrant articles on four different occasions when the proponents didn't show up at selectmen's hearings. What is good for the goose, and all that. Debate was terminated. Mr. Tosti's amendment was approved. Mr. Daley's amendment failed 69-106. It was 8:42 when we finished this discussion. It's a given that Town Meeting will spend a long time debating at least one small issue, and then later on pass millions in appropriations without debate. Tonight, we had that issue, and it was $5000 for a parade. I think that this was actually a productive discussion. I think it set the stage for the rest of the budget debate. Really, the amount of money doesn't matter, but the principles discussed matter quite a bit. What are our town priorities? Is the town interested in funding public safety and education, or is the town funding parties and pet projects? This vote set the tone for the remaining budget votes. Article 41 - Budgets. Mr. Jamieson moved to table the budgets leading up to the insurance budget because he had $1 million in questions that might affect other budgets. Motion to table failed. Budget 1 - Finance Committee ($10,433). Passed unanimously. Budget 2 - Board of Selectmen ($364,499). A member asked why the budget increased so much, and Mr. Tosti answered that there were more elections this year. Passed. Budget 3 - Town Manager ($419,953). Gordon Jamieson asked why the amount proposed for collective bargaining had increased from the budget. He was told that that amount was in Article 39 and wasn't appropriate for this budget. It wasn't appropriate then, but I think I can answer Mr. Jamieson here, while repeating some facts that most people know already, just to be clear. The Lyon's plan limits health increases to 7% growth and expenses and salaries to 4% growth. This year, health costs increased faster than 7%, so expenses and salaries were limited to 3%. Over the course of the budget cycle savings were found in the expenses area, which freed up more for salaries. That money was then allocated for salaries, specifically as money for collective bargaining. I believe that is the answer to his question about why the amount of money for the collective bargaining article has grown over the last 3 months. Mr. Judd asked about coalition bargaining, and was similarly told that his question was outside the scope of this budget. The budget was approved. Budget 4 - Personnel/Payroll ($172,573). Passed unanimously. Budget 5 - Comptroller ($833,611). Passed unanimously. Budget 6 - Treasurer-Collector ($542,303). Passed unanimously. Budget 7 - Postage ($147,482). The moderator noted that postage rates had increased this year. I note that the budget was 1.71% lower than last year. I give much of the credit to Assistant Treasurer Fred Fantini. Postage is one of the budgets I review for FinCom, and I think he does good work on finding savings in this area. There's still more to be done, but Fred has continued to make improvements. Passed unanimously. Budget 8 - Assessors ($284,569). Passed. Budget 9 - Legal ($431,695). A question about expenses was answered that expenses are largely out-of-house counsel bills. The lawsuit about sewer overflows has lead to larger legal expenses. Passed. Budget 10 - Town Clerk ($220,914). Passed unanimously. Budget 11 - Board of Registrars ($59,087). Passed unanimously. Budget 12 - Parking ($90,766). Passed unanimously. Budget 13 - Planning ($203,394). Passed unanimously. Budget 14 - Redevelopment Board ($407,751). There was a question about the income of rental of the various properties. Rental income was noted in the revenue section at about $700,000, and the Town Manager's budget report to Town Meeting had information on page 2-13. Passed. Budget 15 - Zoning Board of Appeals ($21,968). There was a comment that I didn't understand. Passed. Budget 16 - Public Works. Gordon Jamieson asked about overtime spending and how the Town Manager planned to control it. DPW Director Sanchez explained that much of his overtime was emergency, or late-night repairs. Gordon was trying to ask about many budgets including Public Safety. That's a hard thing to do in this forum and I think he would be better served sticking to one budget at a time and letting the argument build itself. Still, his question is a good one, and the DPW director didn't really answer it. Some overtime is very easily explained. But, why is overtime always over budget? That isn't explained, and it wasn't tonight. Mr. Jamieson talked about the increased graffiti in the town, asked about the cost to clean it up. Mr. Sanchez replied that it was two people full-time, and they were $35,000 per year. Answers like this illustrate what is wrong with our current budgeting system. Sure, these people are paid $35,000 per year. But they also have $15,000 per year in health benefits, plus retirement pension, plus retirement health benefits. Employees are expensive. But with current budgeting, the DPW director only has to worry about the tip of the iceberg of employee cost. I'm working with others to change this. We need town management to make hiring decisions while looking at the whole picture, not just the salary.. Mr. Jamieson moved an amendment to increase the budget by $35,000 to combat graffiti. Several speakers were in favor of the amendment, and several were against, noting that there was a group meeting on the issue tomorrow and they had not yet determined what resources were needed to fight the problem. There was a question about the waste disposal cost. There was a question about snow and ice costs. Mr. Tosti proposed an amendment to put the budget in line with past budgets to give the DPW director spending flexibility. Mr. Tosti's amendment passed and Mr. Jameison's failed. Budget approved. The budgets were tabled because the Minuteman administration was present. Article 44 - Minuteman ($2,893,035). Stephen DeCourcey and Laura Morrissette of Arlington introduced Superintendent Callahan. He gave a brief presentation about the Minuteman budget. There were many questions about how the Arlington assessment was computed. He explained that it starts with the $16.1M budget (a 2.8% increase), and then state aid was subtracted, leaving $9.7M to be assessed to towns. Assessments depend largely on the state's computation of "minimum contribution" which varies by town. Part of the confusion about funding levels was simply that Minuteman had very poor data presentation. Their presentation included a table with a column labeled "Average In-District Per Pupil [Cost]." This column is very confusing because it includes students who are full-time high school students, middle school students, and post-graduate continuing ed students. These three types have very different pricing, which makes the "average" a meaningless number. I tried to explain it by calling the three student types "apples, oranges, and grapefruit." I was drawing the analogy that Minuteman was trying to compare apples to oranges, and you just can't do that. In discussions afterwards, I was reminded that I'd forgotten a fourth category, special ed students; they are probably best described as "watermelons." These discussions were very interesting to me, and I was asked several very interesting questions about per pupil cost that I didn't know the answer. I intend to do some research and post on my website later this week or maybe next week. It was noted that minimum contribution was determined by the Department of Education. Budget approved. Article 41 - Budgets. Mr. Tosti noted that Superintendent Nate Levenson was present, and moved to bring the school budget up. Budget 19 - Education ($35,319,943). School Committee Chairman Sue Sheffler spoke very briefly about the budgeting process and introduced the superintendent. He spoke for a few minutes about the priorities that had been made with the School Committee and how they were reflected in the budget. I wrote earlier about the superintendent, and my opinion was not changed by this presentation. He was articulate, clear, engaging, and forthcoming with information. A long series of questions ensued about revolving funds taken up by the school committee, the use of grants, sports spending, nursing, concession stands, counseling, the lateness of the budget ("I will not make this mistake again" he said), administrative cuts, specific grant line items, special education philosophy, and special education for out-of-district placement. There was a motion to end debate early on that failed. I voted to continue debate. I think budgets are the most important function of Town Meeting. I can't see why people want to pass a $35M budget without comment, debate, and review. There was criticism levied about levels of spending for counseling and administration. At one point, he was berated by Mr. Cleinman for having a misplaced apostrophe in the report. I thought this criticism was uncharitable. If the worst mistake the Superintendent makes is a poorly spelled possessive, then we have the best Superintendent ever. Debate was terminated and the budget was approved. Mr. Tosti and Mr. Foskett gave notice on all of the the budget articles, as did Mr. Judd. Mr. Schlictman gave notice on budget 19. Mr. Trembley gave notice on budget 19. Next week we're covering Article 20 about Venner Road. Please read my comments. The Ottoson Select Chorus sang the national Anthem. Pastor Ross Goodman of St. Paul's Luteran gave the invocation. He gave facts and history of the church, and quoted a prayer in the back of the Town Hall. The Ottoson Select Chorus sang several songs. They finished at 8:17 by my watch. The moderator announced that he was doing things out of order, and was doing the budget first tonight. He planned out the next 6 articles. This proved to be quite optimistic, as we just finished the budgets at 11. A newly elected member was sworn in. This was Mary Ronan, who I'm happy to see back in action after a recent medical problem. The Moderator reminded precincts 6 and 12 that they had to vote chairs and clerks. Annie LaCourt noted the various math projects set up around the hall from middle- and high-schoolers. I checked them out during the break. Some of them were quite good. "Data Mining" was particularly interesting. The Moderator announced that after 18 years in his position, he will not seek re-election. Pretty big news - it'll be an interesting campaign for his replacement. He received a standing ovation from the meeting. Lyman Judd reminded the meeting on proper etiquette during the anthem. Mr. Tsoi gave a several-minute report on the current Symmes status. He recounted the terms of the new deal and how it increased the costs to the town. There were several questions about the impact on the town and the terms of the deal. Pam Meister gave the report of the town's 200th Anniversary Committee. She talked about what had been done in 1907 and how the plans compared. Mr. Cole gave the report the Permanent Town Building Committee. He reported on the finishing of Dallin School, the finances of the 5 open school building projects, and the redesign of Park Circle Fire Station. Article 41 - Budgets, continued. Budget 17 - Public Safety ($11,160,099). Mr. Starr talked about the importance of traffic enforcement. Passed unanimously. Budget 18 - Building Inspection ($324,790). Passed unanimously. Budget 20 - Libraries ($1,766,163). It was noted that the libraries will be accredited with this budget. Passed unanimously. Budget 21 - Human Services ($673,458). The Manager announced that with Patsy Kraemer's retirement this summer, that he planned on a reorganization, particularly separating recreation into its own department. There were a couple of questions about whether the nurse in the Council on Aging budget was with- or without-benefits. The Manager at first was positive that the position had benefits, but by the end of the discussion he didn't look so sure. I'm pretty sure that he was incorrect; the nurse is 19 hours, and is not eligible for benefits. There were a few other questions about the recreation budget and the CoA budget. Passed. Some of the nay-sayers on this budget were disgruntled senior citizens who were looking for more funding. One of the things that keeps FinComm from raising this budget is the large amount of money controlled by the private Council on Aging (it's very confusing, but the town's department and the private group have the same name). There is a trust fund, the Sevoyan fund, with hundreds of thousands of dollars. I believe that FinComm would be much more willing to participate in elder programming if these private funds were tapped at the same time. Lyman Judd gave notice of reconsideration. He also recognized Patsy Kraemer for her work, who received a standing ovation. Budget 22 - Retirement ($6,496,453). Passed unanimously. Budget 23 - Insurance ($14,256,942). Lyman Judd asked about coalition bargaining. The Manager explained the reason he didn't want to accept the law, including the fact that it divorced benefits from health and the need for flexibility around retiree costs. Gordon Jamieson asked several questions including enrollment, retiree contribution levels, and Medicare Part D. There was a question about the bid process (or lack thereof). There was discussion of the town's workman's compensation cost and safety training. Debate was terminated and the budget passed unanimously. Budget 24 - Street Lighting ($441,175). There were questions about the outages in the Heights earlier in the year. The cost increase was explained because the town's 3-year, low-cost electricity deal was about to expire. Passed unanimously. Budget 25 - Reserves ($350,000). Passed unanimously. Water and Sewer Enterprise Fund - ($17,696,077). There was a question on the meter replacement program. Passed unanimously. Recreation Enterprise Fund - ($585,668). Passed unanimously. Veterans' Memorial Rink Enterprise Fund - ($459,340). I asked a question about the new lease for the rink signed this year, and the associated cost. The Manager answered that there was a guesstimate of $2.5 million for the rink replacement required. I expressed my frustration that the town had signed the lease agreement and signed up for millions in improvements, but hadn't promulgated a plan for payment. Over the 25-year lease, we're talking about at least $100,000 per year, and probably more. That amount breaks this budget; we'll have to increase revenues by better than 20%. There is no record of this in the budget. We should be saving for this already. There is one item that came out in tonight's discussion that I didn't realize: evidently the town can bail out of the lease mid-way through if we don't want to pay anymore. If this is true, then I would probably have toned down my rhetoric one notch. Still, even if we have an escape clause, we still should have a published plan. There were a series of questions about the rink's maintenance, land value, concession revenue, and scheduling priority. Passed. Council on Aging Enterprise Fund - ($115,839). There was a question about CDBG funding reduction. I think this wasn't quite answered correctly on the floor. CDBG is paying $10,000 less this year, and that means the CoA will pay more out of its reserves. This obviously can't last forever. Passed. Youth Services Enterprise Fund - ($301,520). Drug and Alcohol education is done part by grant and part by volunteer. Passed unanimously. Mr. Foskett and Mr. Judd gave notice on all of the finance articles. Jane Howard led the group in the national Anthem. Dr. Ronald Ramsey of St. John's Episcopal Church gave the invocation. The moderator announced his planned order of articles. The next meeting was scheduled for May 15. Article 2 - Reports of Committees. Jane Howard gave the report of the Vision 2020 Committee. She reviewed the results of last year's survey on renewable resources. Article 42 - Capital Planning. Charlie Foskett gave the report of the Capital Planning Committee. Part 1 - Appropriated spending ($8,011,303). There were several questions, including about how the 5% for the capital budget is calculated, Ottoson reimbursement, bullet proof vest purchases, and copiers. Part 2 - Grants ($4,870,000). There was a question about the cost of repairing the Town Hall garden wall, which was $200,000. Passed unanimously. Part 3 - Bond ($3,955,555). There were questions about Menotomy Park work, ballot boxes, and lighting. Passed unanimously. Part 4 - Additional grants. Passed unanimously. Part 5 - Time of spending. Passed unanimously. Article 52 - Special Ed ($350,000). It was explained that this was a financial vehicle to provide cushioning in the school budget for unexpected special ed costs. There were several questions about it, a speaker in favor, and it was approved. I am very much in favor of this. This fund is a very good budgeting tool for the superintendent. He has year-to-year financial challenges because of new (and expensive) special ed students. These needs are not met by the capital budget or the reserve budget. The fund has a very specific purpose. It does not risk becoming a slush fund for other school activities. It is very unlike the previous votes of town meeting for water bodies and recycling. Article 15 - Assessors Reporting. The resolution was passed unanimously. Article 28 - Tax Deferrals. Selectman Annie LaCourt presented the selectmen's revised plan of a $30,000 income eligibility cap and 6% interest on deferred sums. Alan Jones presented a substitute motion endorsed by the Finance Committee that had the same $30,000 but linked the interest rate to the market such that it could float between 6% and 8%. He explained that FinCom was concerned that the low rate would reduce the risk of too many people taking advantage of this and causing disruption to the town's revenues. The cap of 8%, by the way, is imposed by the state. We'd need special legislation to set it (or float it) higher. Chris Loreti offered an amendment to both motions to raise the cap to $40,000. He said that the other motions were "overly cautious" and said that few would take advantage of this anyway. Patricia Worden made an amendment about affordable housing that was ruled out of order. There was a question about whether "the abatements could be bonded." This caused confusion on two levels. First, it's a deferral (meaning it is paid back, in this case when the house is sold), not an abatement (a permanent reduction). No one corrected that statement, and it lead to some confusion. Second, the Treasurer answered that it is bondable. I believe that the Treasurer was in error on this. Uncollected taxes cannot be bonded. There were discussions about reverse mortgages, and the possible revenue implications. Debate was terminated. The moderator used an unusual voting method. Rather than vote for the specific amendments, he essentially polled the meeting on their opinions on the key questions. I thought this was an excellent way to sort through a complex set of motions and get to the will of the body in a straightforward manner. Based on these results, the meeting approved a $30,000 cap with a floating rate. I voted on the $20k/8% line because that was the choice that kept this benefit from expanding. I think any age-based rule is a bad idea. How do we rationalize these deferrals to the similarly-sized set of people earning less than $30,000 who just haven't aged yet? Are we saying that our older people are more important than our younger ones? Anyone earning less than $30,000 a year has difficulty affording housing in Arlington. I don't think that age is a good tool for determining which ones deserve the town's help. Article 55 - GIS in a Land Use Study Relative to 40B. Annie LaCourt made the selectmen's recommendation of a study committee. Several members of the meeting attempted to make general statements about 40B. This just drove me crazy. We're trying to get the meeting done, and certain long-winded members think that it's a great time to debate a topic that simply is not affected by this article. There is a time and a place to debate 40B. This is not one of them! I moved to terminate debate, and it failed. At just before 10PM, this was my last gasp for us to finish tonight. Mr. Belskis provided a small amendment to the vote. After, his amendment failed and the main motion passed, with significant dissent. Article 36 - CDBG Application. Approved unanimously. Article 7 - Stormwater. Kevin O'Brien explained that after further consideration, there were still ways to improve the article. He would bring it back next year. No action approved. I'm not sorry to see this die. I can see a way that I might vote for this, but it would have to be incredibly carefully crafted. Article 20 - 55 Venner Road. Annie LaCourt gave a synopsis of the facts of the issue. The Town Manager gave a presentation defending the Selectmen's recommendation of 50% of the cost of the lot. The Manager's presentation had some sentences that I thought were imprudent (inappropriate? incorrect? unlawful? I toyed with a few possible words there before settling on "imprudent"). His written statement compared the situation to Scituate and Gray Street. In his speech, he talked about "cramming houses into a tiny space." He was arguing that the town should hold on to this right because our zoning laws aren't enough protection for homeowners. If that is the case, then he should be asking for a zoning review. I think it is completely inappropriate for us to perform a "taking" by eminent domain, and then use that taking to prohibit development! Either our zoning is good, or it is not. We should tackle that as a separate issue. What this debate should be about is the value of a particular right on this particular piece of property. The attempts to bring in anything else - zoning, disability, etc. should be discarded as the distractions that they are. Annie LaCourt presented the minority opinion that 50% was too high of a price. The end of the meeting ended debate. Mr Tosti gave notice of articles 42, 52, 28, 55, and 36. Mr. Judd gave similar notice. Meeting was adjourned. Someone from the Salvation Army gave the invocation. The moderator noted that we can finish tonight if we move along well. The next meeting was scheduled for May 17 (if needed). The moderator announced that his letter to the editor of Commonwealth Magazine had been published. I think the original article was an excellent one. I said as much when it was first published. I think Mr. Worden's letter to the editor is a lot of rhetoric with very little fact. Even if you concede his corrections, they don't modify the core argument of the original paper: zoning restrictions bear significant responsibility for the cost of housing in our area. Mr. Greeley welcomed the return of Mary Ronan. I commented on this as well on May 8. Clarissa Rowe announced that the selectmen and school committee would get a review of the upcoming state budget on Monday at 6PM from the town's representatives and senator. Paul Schlictman noted that tonight is Allan Tosti's 60th birthday, and that Sue Sheffler had cake coming for the break. Lyman Judd announced the 13th annual Hurd 5K Walk will be Sunday May 21 at 10AM. Elsie Fiori noted the passing of former Town Meeting Member John Perry and remarked on his life. Article 20 - 55 Venner Road Easement, continued. Mr. O'Connor introduced the Wrens who are abutters. They said they first heard of it last week, and would like time to try to work out a deal to perhaps purchase the land. Mr. O'Connor urged no action. Mr. Schlictman urged no action, or at least to gain restitution. He noted that no action preserved all options. Dean Carmen proposed $20,000, the compromise that had briefly been reached last week. He defended his motion, noting that the town did not own the land, and only had a partial option. Mrs. Worden spoke a torrent of words about fighting housing density and urged no action. Mr. Leone requested extra time and was given it. He offered a substitute motion of $0. He reviewed the land's history and said that there had been too much speculation about the proponents' motive. He introduced the proponents who spoke briefly. Mr. Quinn endorsed no action, noting that the meeting only gets one shot at the issue. Mr. Sullivan spoke and tried to clarify some of the facts of the case. Charlie Foskett spoke in favor of Dean Carman's motion. He accused the selectmen (the three of them who supported this article) of engaging in speculation. During the debate, I found myself of two minds about each speaker. They'd say something I agreed with in one sentence, then say something I disagreed with on another sentence. I agreed when speakers said things like "when you hear talk about open space, you are hearing talk of zoning without public notice or review" or that "the town should not acquire land by eminent domain for one purpose, but then use the land for a different purpose." I disagreed when people said things that implied that our purchase of the land was an "investment" whose value is calculated by an interest rate, or tried to compare this situation to the development at Scituate and Gray. And, I think Mr. Leone looked pretty foolish trying to make this situation sound like the same situation as when the town voted in 2004 to permit a bank to be 8 feet closer to the street and 8 feet farther from the abutting residents. Diane Mahon spoke and noted that the proposals and "facts" of the case had changed several times through the course of the debate. She endorsed the selectmen's motion, but said that no action was also fine. Clarissa Rowe endorsed Dean Carmen's motion and urged against delay. Brian Rehrig moved to terminate debate and the motion carried. At this point, Brian Rehrig was my hero! We still had enough time, probably, to finish the meeting tonight. My thinking on the article was modified by the discussion a bit. I supported Dean Carman's motion, but I was satisfied with the vote of no action. We can reconsider it next year. Leone's motion, Carman's motion, and the Board of Selectmen recommendation were each voted down in turn, resulting in no action. The moderator gave some poor instructions at the beginning of the vote. If he was more clear, I think that Dean Carman's motion would have been substituted for the selectmen's - and then voted down. The meeting did what it wanted, bad instruction or no. Article 28 - Tax Deferrals. The moderator said that we had forgotten to take a final vote. Mr. Tosti moved reconsideration, and we re-voted the article without discussion. Article 38 - Collective Bargaining ($159,600). Mr. Tosti reported that agreements had been reached with Local 680 and the Professional Librarians. Mr. Roselli rose to say that it was illegal to negotiate wages and benefits as a package and that this article violated a restraining order he had taken out on a previous town manager. These were quite the spectacular accusations. I think they would have made more of a stir if people weren't looking at their watches, which read after 10PM. If he can back these up, we'll be back in Town Meeting again sometime. The selectmen announced they supported the deals 5-0. Approved unanimously. Mr. Roselli gave notice of reconsideration. I abstained from this vote, just like I did at FinCom earlier in the evening. I am very interested to hear the details of this deal and they were not immediately available. Article 39 - Funding Collective Bargaining ($190,575). This is the amount of money reserved for the contracts that have not yet been approved. It was approved unanimously. Article 56 - Minuteman Senior Services. No action unanimously. Article 57 - Senior Citizens Program ($7500). Approved unanimously. Article 58 - 200th Anniversary ($1000). Pam Meister spoke about the plan the committee had and asked for an amendment from $1000 to $6200, twice the amount spend at the 100th anniversary. Mr. Tosti spoke about why FinCom had chosen $1000. One speaker supported the amendment. The amendment was defeated 77-84 and the $1000 carried. I was actually surprised to see this fail. I thought that the "twice as much as 100 years ago" was a brilliant move, and I thought it would carry the day. I strongly endorse the work of this committee. I think we should all have a great party next year. I've put my money where my mouth is, and I wrote them a check earlier this year. I encourage my fellow town residents to do so as well. That said, I voted against the amendment. It's one thing to donate, but it's another thing to pay for a party with tax dollars. Article 59 - Retiree Health Care Fund ($280,410). Approved unanimously. And so, we put another drop into this $100-million-and-climbing bucket. Article 6 - Zoning: Open Space and Parking. Mr. Judd moved reconsideration. I assumed this was dead in the water - lost the first time and destined to lose again, and people without the patience to argue the same issue twice. How wrong I was. He said that the original vote had been done with too much emotion and insufficient facts. Mr. O'Brien spoke, explaining that we need parking at town parks, such as Reeds Brook. He argued that when people had voted no saying "they" will build more parks, that the "they" was actually "us" - town meeting, and the ARB. It was noted in response to a question that this does not affect Symmes. The meeting voted 124-24 to reconsider the question. Mr. Carabello spoke in favor, noting the need of a turnaround at Thorndike. Roland Chaput of the ARB said that it had been an oversight to not include it. Mr. Leone reversed his position from the previous vote and supported the article. It was approved 148-5. I was in favor of this on the first night, so this was a pleasant surprise. Mr. Judd rose and threatened to reconsider budget 21, but eventually didn't. He looked like he was seeking an assurance from the manager about the nurse's position, but he did not get it. Article 60 - Tip Fee Stabilization Fund ($680,000). Approved unanimously. Article 61 - Cemetery ($160,000). After a comment, approved unanimously. Article 62 - Overlay Reserve ($400,000). Approved unanimously. Article 63 - Stabilization Fund ($2,100,000). Approved unanimously. Article 64 - Unencumbered Funds ($1,939,695). Approved. Article 65 - School Facilities Working Group. Mr. Spengler spoke about the lack of reports from the working group and the lack of preparation for rebuilding of Stratton and Thompson. He said that even with the moratorium, there was plenty the town could be doing to move the process along. Approved unanimously. Article 66 - Scenic Byway - Battle Road. Mr. Winkler spoke about the role of Arlington in the Revolutionary War and how it was overshadowed by Lexington and Concord. It was 10:52, and we had two articles left. The meeting was very much on edge, and not ready to listen to a history lesson. Mercifully, he spoke for only 4 minutes. There was a question about the cost to abutters and the role of the federal government. Approved unanimously. Article 67 - Spanking. Mr. Daley tried to move the question, but the moderator told him that the meeting would be fair. At this point, Mr. Daley should have sit down, and shut up. He made his try, and he failed - heck, I was tempted to try the same thing, but he beat me to it. But he kept talking and interrupting, delaying the meeting for 3 minutes. 11:00 at this point. Mr. Greeley explained that the selectmen had recommended no action because they did not think it was an appropriate issue for Town Meeting. Mr. Garrity made a substitute motion of the "Positive Parenting" resolution and introduced Sue? Lawrence, the proponent. She spoke for several minutes about studies, beatings, domestic violence, boot camps, and at one point displayed a whip. This woman is clearly driven by her inner beliefs. She feels strongly enough about her beliefs that she's convinced herself that it's normal, acceptable behavior to stand up in front of hundreds of adults and tell them how to raise their children, and to tell those hundreds, in their governmental capacity, to inform thousands of others of adults what the "right way" to raise their children is. As much as I like the Town Meeting form of government, one of the downsides is that you have to periodically endure things like this. She got what she deserved 10 minutes later. Debate was terminated, and the substitute motion failed, and no action was approved. Elsie Fiori spoke and chastised some of the members for their behavior during the meeting. She got a strong round of supportive applause. I completely agree with her. While the spanking article got the vote that it deserved, it absolutely did not get the respect it deserved. The speakers for that article deserved civility. Every speaker deserves civility. I sit closer to the front of the room than the back, and I can't list the rude people by name. Mr. Daley was clearly a ringleader, however, dropping things on the floor, shouting out interruptions, and generally attempting to disrupt the meeting. He owes us all an apology. Mr. Worden thanked everyone for their support and help during his tenure. He received a standing ovation. Mr. Tosti thanked people for their support and birthday wishes, had Article 2 taken from the table, and the meeting was dissolved.